On Monday, August 6, 2018, at approximately 3:48 pm, officers from the Manchester Township Police Department responded to the area of Route 70 near mile marker 34.5, in the Whiting section of the Township, to investigate a serious motor vehicle accident involving two vehicles. Initial reports indicated that there were multiple injuries and that at least one person was trapped in a vehicle. Upon arrival, officers observed a black, 2001, Mercedes CK5 on its passenger side off of the westbound side of the roadway against several trees. The Mercedes was only occupied by one person, and that individual was pinned inside and suspended by the vehicle’s seatbelt. Also at the scene, officers located a blue, 2010, Mazda 3 with extensive front end and driver’s side damage facing east in the westbound shoulder. 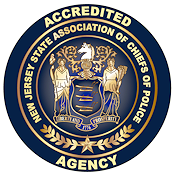 The initial investigation revealed that the Mercedes was traveling eastbound on Route 70 when it crossed the center line and collided with the Mazda which was traveling westbound. The impact caused the Mercedes to spin and eventually roll onto its passenger side. Upon doing so, it slid off the roadway and collided with several trees. 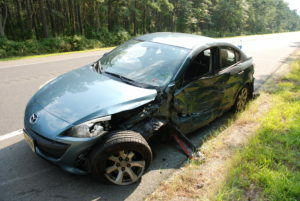 The Mazda also spun and slid a substantial distance before coming to rest in the westbound shoulder. The driver of the Mercedes, 28-year-old David Arce of Brick, was extricated by first responders and airlifted by paramedics to Helene Fuld Medical Center in Trenton for treatment of serious leg and internal injuries. His current condition is not known. 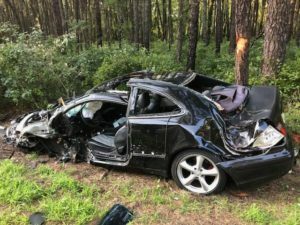 The driver of the Mazda, 31-year-old, Pablo Nunez of Joint Base McGuire-Dix-Lakehurst sustained injuries to his arm while his front seat passenger, 20-year-old, Leighanne Brown of Berlin sustained a head injury. Both were both transported to Our Lady of Lourdes Medical Center in Burlington by ambulance. The back seat passenger, 19-year-old, Rachel Goretskie of Browns Mills was uninjured and refused any medical treatment at the scene. The roadway was closed for several hours while emergency workers tended to the injured, and while officers conducted the investigation. Assisting at the scene were members of the Whiting and Lakehurst Volunteer Fire Departments as well as members of the Joint Base Fire Department. Also assisting were EMTs from Quality Medical Transport and paramedics from both MONOC and Virtua. 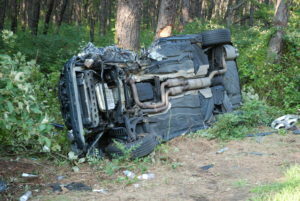 This crash is being investigated by Patrolman Ian Bole of the department’s Traffic Safety Unit.